Dubbed as the Pearl Island, Phu Quoc is one of the most beautiful islands in Vietnam. Located in Gulf of Thai Lan in Kien Giang Province, it is featured with stunning beaches, diverse flora and fauna system, unique historical and traditional values as well as amazing surroundings. 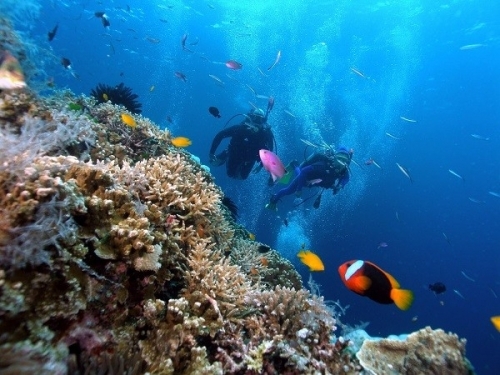 Especially, Phu Quoc Island has magnificent coral reefs lying under the sea water. With more than 17 different species of coral located mostly at An Thoi Archipelago, Mong Tay, Doi Moi or Thay Boi Islands, you will be impressed when diving or snorkel to see amazing scenes of colorful coral reefs and beautiful sea creatures. Golden Season is the name that people call the harvest time of paddy fields in Northwest which make them turn to yellow. This time must be between the middle of September and the end of October. 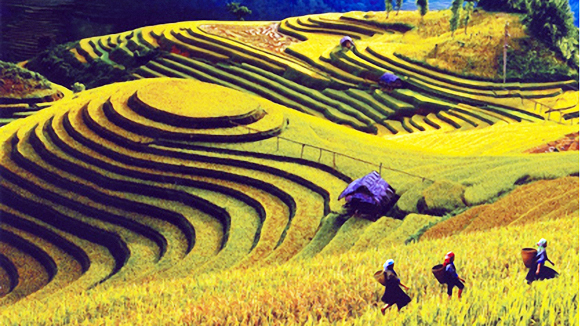 The immense terrace fields in mountainous area are covered by a fantastic bright yellow, looking like someone inlay gold on the ladder to haven. Thousands of endless golden waves stretch from valleys, through mountain sides to the high peak. The colors vary from green, pale yellow, sunshine yellow to brown golden. Standing from the top of the mountain and looking down to terraces, you can view the whole amazing scene of yellow “ocean” and scattered stilt houses of ethnic minorities as well as feel the spectacular beauty of nature. 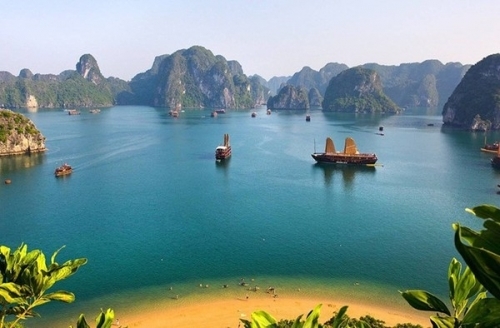 As one of 7 world’s Wonder of Nature, Ha Long Bay is the most favorite destination for anyone interesting in natural charms. And enjoying a night on a cruise or a ship in the middle of super beautiful natural scenery is must-try experience. You can lie on the deck, see the magic night sky of thousand stars, bright moon, enjoy the charming scene of the sea, the mountains surrounding, hearing the sound of ocean waves and sniff the fresh salty smell. All those interesting experiences will strike your heart and soul and make you unforgettable. 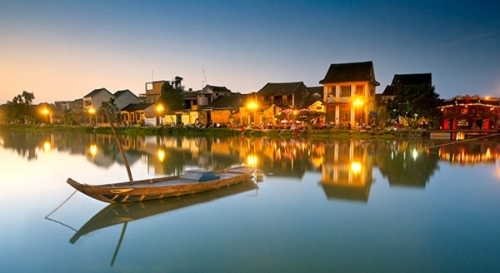 The charming ancient town of Hoi An will be more fantastic at full-moon day when local people light lanterns up and hang them in front of their houses and along the streets. It will be more magical and awesome when you sit on a boat floating on Hoai River and enjoy the whole scene of the town with sparkling lanterns covering the peaceful and ancient streets and houses. And in full-moon night, a lot of floating lanterns will be released all over the river, which make Hoai River even more charming. 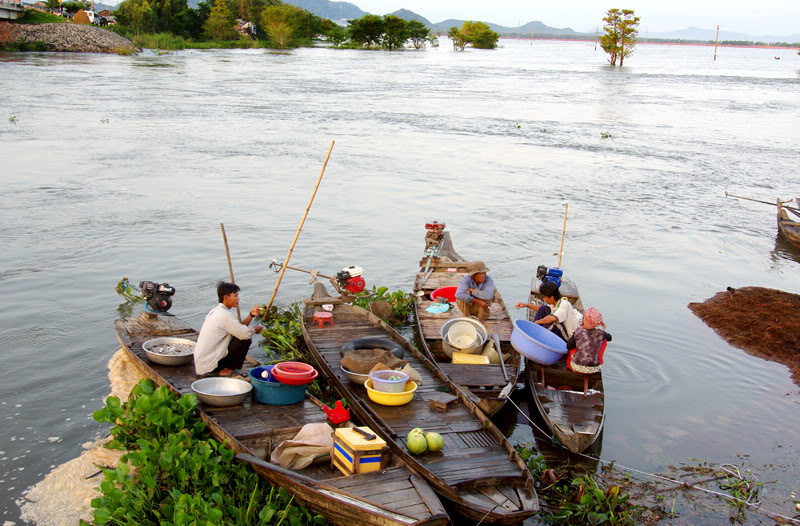 The abundant land of Mekong River is one of the top favorite destinations in Vietnam, especially in floating season. You will be surprise when seeing an immense area covered by water. Everyone has to travel by boat. Some places like Dong Thap also has beautiful pinky lotus floating on the water. You also have chance to visit floating markets on the river or visit orchards with plenty of fruits. Floating season is the time of many different specialties such as foods made from local fishes and vegetables.